Herman Martinez, a self described singer/songwriter/multi-Instumentalist from N.J, has a new album out titled, “Solopsi Radio.” It was produced by Ahmed Mahmoud. The songs have an experimental quality to them that seem to mix different rock genres, while including obscure samples and defying traditional song structures. The very first song, “Phonic Chronicles” is a good example of this. It’s very hard to classify but still rocks just the same. A lot of the songs vaguely remind me of variations of 90′s indie experimental music. 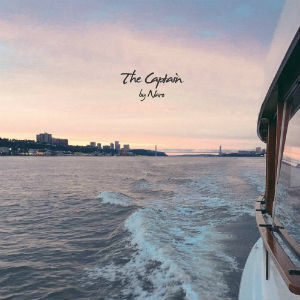 The track “Sculptor” has an alternative feel to it, reminiscent of old school Sebadoh. One element that seems to work really well is the way each song continuously builds momentum. Often they begin with very minimal guitars or quiet samples/noise, but slowly work their way up toward bellowing, blended chaos and a darker, fuller sound. With 11 songs total and nearly an hour of music, this album delivers a great variety of content. I’d recommend this album to anyone who is looking for music that isn’t boring. It leaves you with a great feeling of not knowing what to expect. An alumni of the Berklee College of Music, Coreena proves herself to be a more than capable performer and songwriter as well. Her upcoming EP, “She, Myself and I,” is set to be released on August 24th. Though she writes and produces her own material, the finished product sounds remarkably professional. Her new EP aspires to be a “conceptual album of her different musical personalities.” The song “Sugar Love Glow” has kind of a mellow, ambient dance quality to it. “Apocalyptic” can be described as a unique mix of 1950s lounge singer vocals with a tribal techno beat backing. I was blown away by all the songs on the EP, but my favorite has to be “Ex-girlfriend.” It is energetic and upbeat, with a synth driven chorus that really carries the song. When it kicks in, you get that feeling like “Yes! I’m way into this.” I recommend you buy this EP when it comes out. This music is much better than anything you’ll hear on the radio. Pure class. Retro futurist song with vaporwave aesthetic. 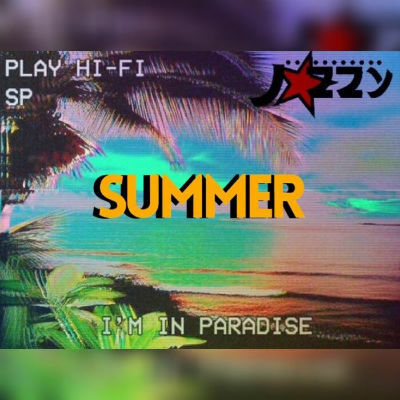 Young rapper “Jazz” from Texas has a jam out called summer. The backing has kind of an early 90′s feel to it, which matches the aesthetic of the cover. The beats seem to transition back and forth from tribal to modern throughout the song. Jazz has a very laid back style of spoken word delivery, that’s very easy to listen to. I’d recommend this to anyone who enjoys mellow summertime hip hop songs.